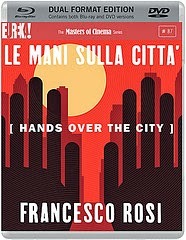 Francesco Rosi's Le Mani Sulla Città (Hands Over The City) provides an interesting text with contemporary relevance on the conduct of politicians, but struggles to make much of a Drama out of its crises. Intriguing on face value, Rosi creates a potential political maelstrom and then downplays it in favour of games and speeches, instead of investigation and analysis. Rosi's film also provides an interesting case study in depicting Socialism on screen. 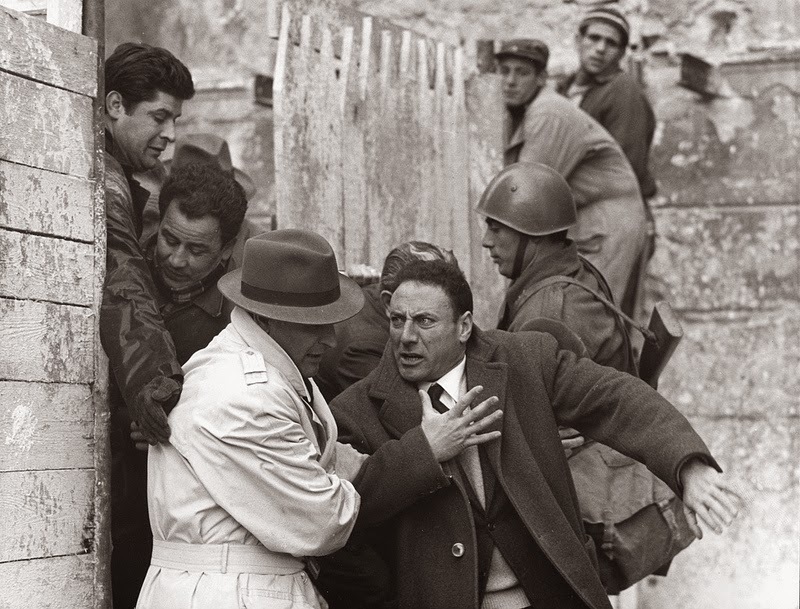 De Vita (Carlo Fermariello), vocal member of the Left, champions the people's rights after a flat collapse at least in part caused by the shoddy workmanship and the shady dealings of the politician Edoardo Nottola (Rod Steiger). Each provides the model for their political state (Nottola represents the greedy, privileged, Right) but the on-screen time for the proles (for which no individual character is put forwards) is dramatically absent when compared to that of the politicians, or their backers. Rosi seems to sympathise with the socialist agenda but not to a degree where he thinks the people themselves deserve much focus or voice. There are few stakes here, save the politician's own careers. In depicting their changing fortunes, Rosi does find some success. De Vita's pursuit of Nottola, whilst on a flawed review committee at least in part made up of members of the Right, gains ground to the point of creating an uneasy political allegiance come the end, which is effective and depicted exactingly. Values on almost all sides are compromised at the expense of money and power: no-one makes mention of the people they supposedly represent. Even in these moments though, there are times when Le Mani Sulla Città feels overblown and poorly executed. The constant scenes of politicians shouting at each other across chambers may get the rankles of the modern viewer going, when compared to today's performance at Prime Minister's Questions, but the spectacle isn't half tiresome to watch. 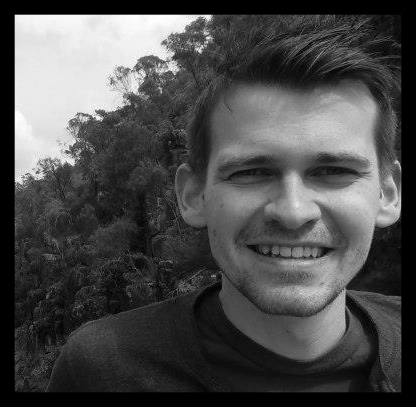 Amongst individuals, Fermariello is the worst, accompanying his screams with effusive and stereotyped gestures, even when he is only sharing a table with a handful of 'colleagues'. It makes him impossible to root for. Rosi though does know how to craft a frame and an image, and at least part of the point here must have been to cast almost everyone in a negative light. Le Mani Sulla Città frequently looks terrific (the opening titles and booming score) and occasionally pulls out a remarkable scene (the silent city block collapse). It does provide interest, but that interest rarely elevates itself to intrigue.